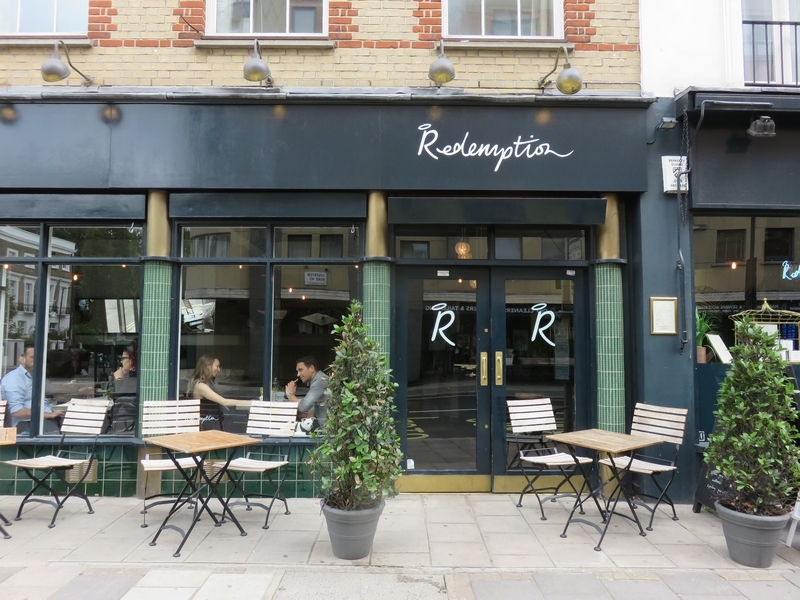 restaurant review #142 – Redemption is a vegan restaurant in London, on the upper east side of Hyde Park. 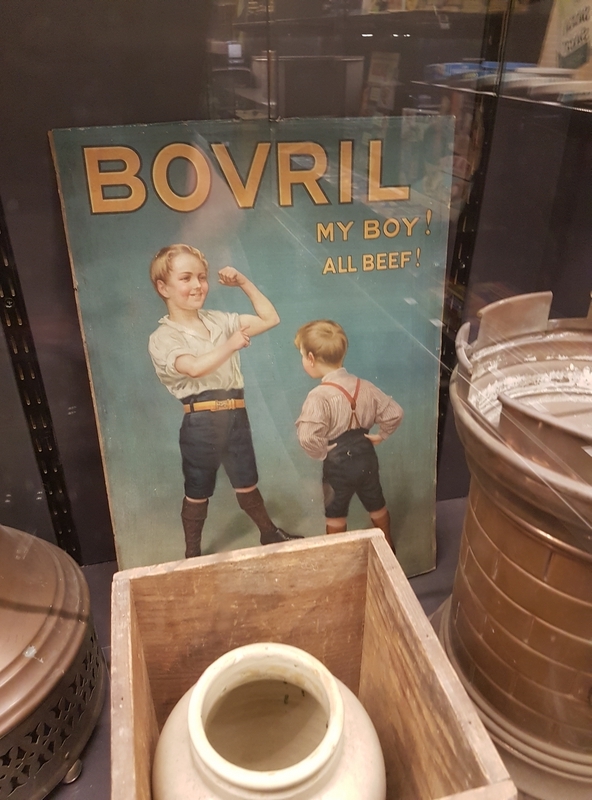 We had visited the Museum of Brands and Packaging that morning, which is not so well known, but very worthwhile (see pic below)! Everyday products and packages from 19th century life till present day. Really fascinating! 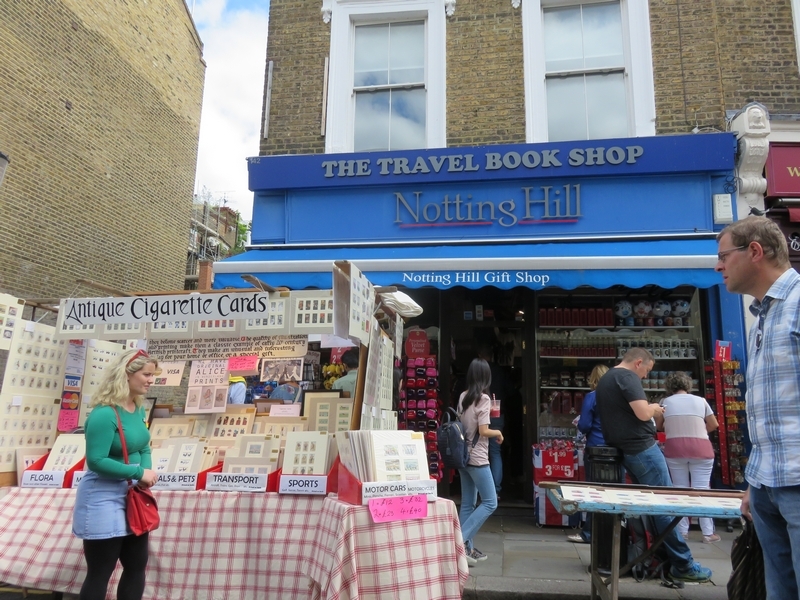 After a stroll down Portobello Road in Notting Hill where the famous (and very touristic) Portobello market is (too crowded, too much noise) we headed towards Redemption. Redemption is a bright space with large windows and lots of light coming in. Nicely renovated (modern, but still classic and sober). 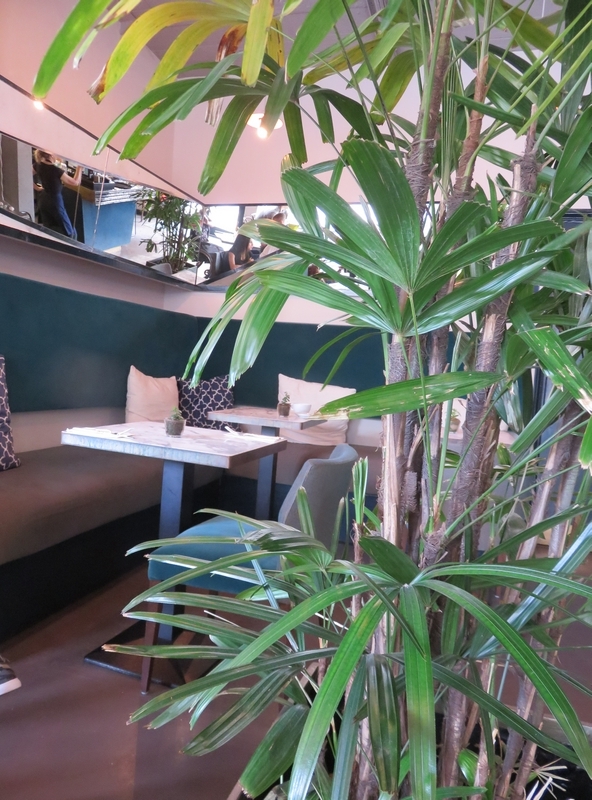 Tables are not so closely placed together, so one can enjoy lunch or dinner in a relaxed atmosphere. There’s also a terrace in front, but the restaurant is located at a busy bus stop, so it did not seem very enjoyable to have our lunch outside with busses driving on and off. Redemption also offers take away. 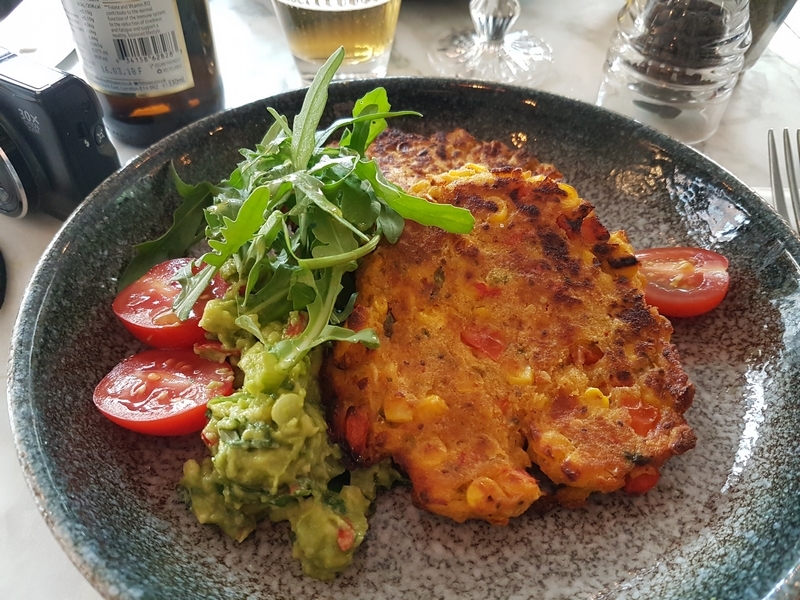 Everything is not only vegan, but also wheat free, sugar free and the restaurant also doesn’t serve alcohol! Here’s part of the lunch menu at Redemption: all in all pretty cheap! 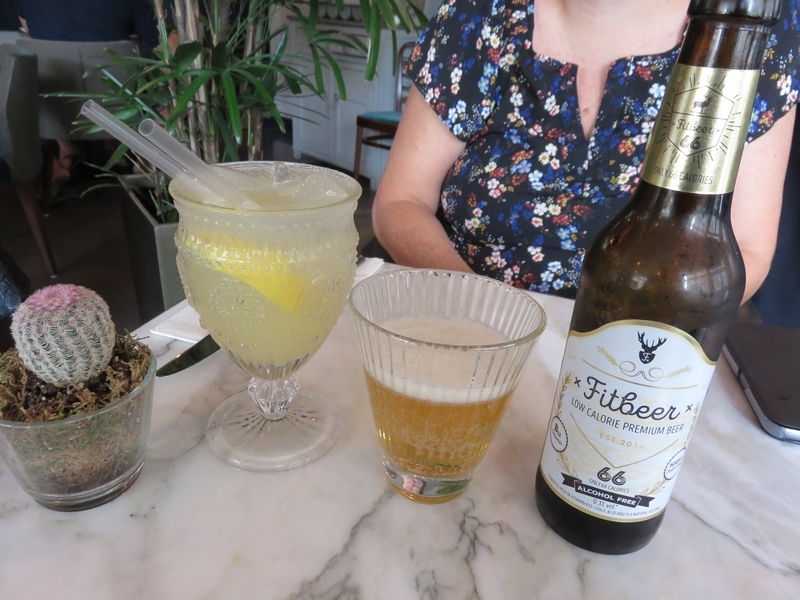 We ordered a alcohol free beer and lemonade (each £4). 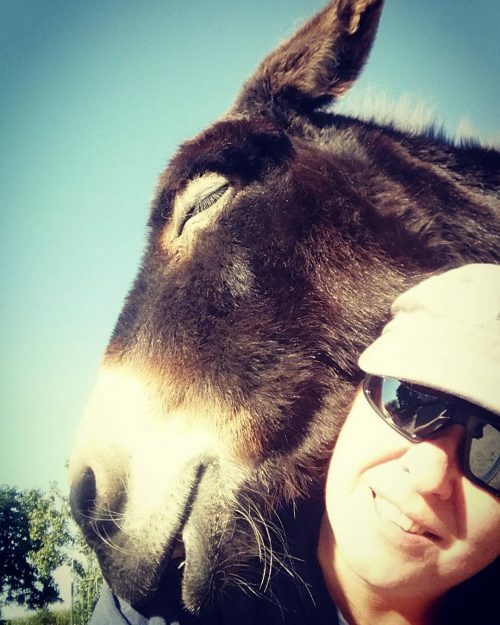 A small snack, like some nuts or olives, would have been nice. 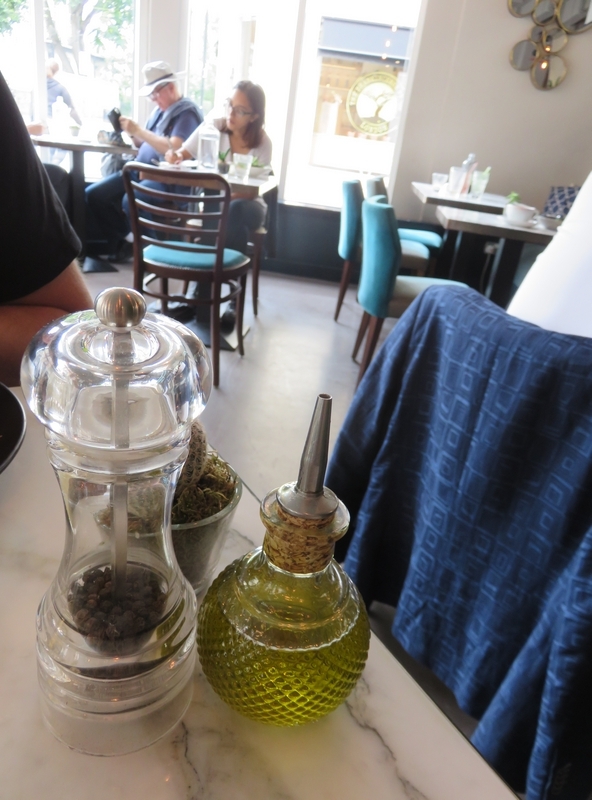 Especially since it took a very long time before we were served our lunch (the waitress did came to apologise though). Jackfruit is hailed on social media among many vegans as having ‘a meaty texture’ and ‘being able to fool even meat eaters’. We have prepared it a couple of times at home, but honestly we don’t understand what the fuss is all about. 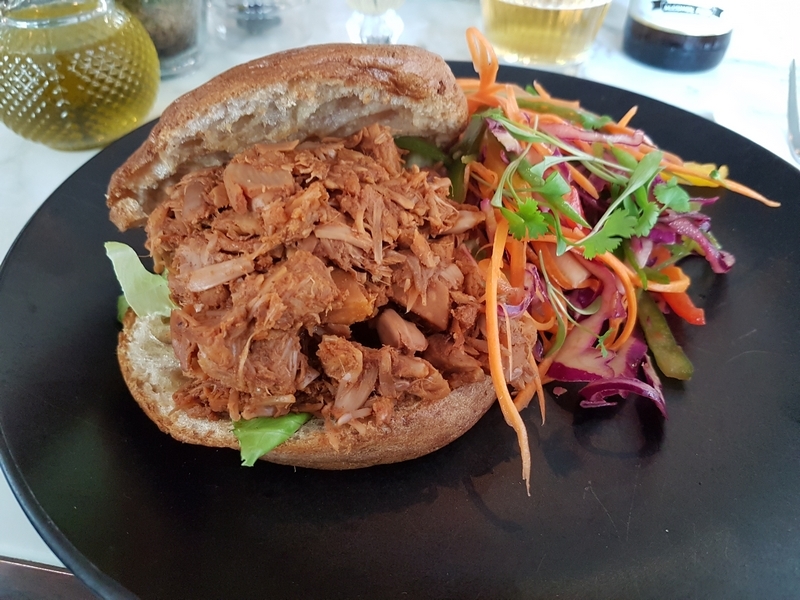 But the waitress was also ravissant about the pulled BBQ’ed jackfruit ‘pork’, so that’s why we decided to give it another go. But again, we thought it tastes just like sweet fruit! Not bad, but not resembling a meaty texture or taste at all. Really don’t understand why anyone would think this this could ‘fool’ meat eaters! 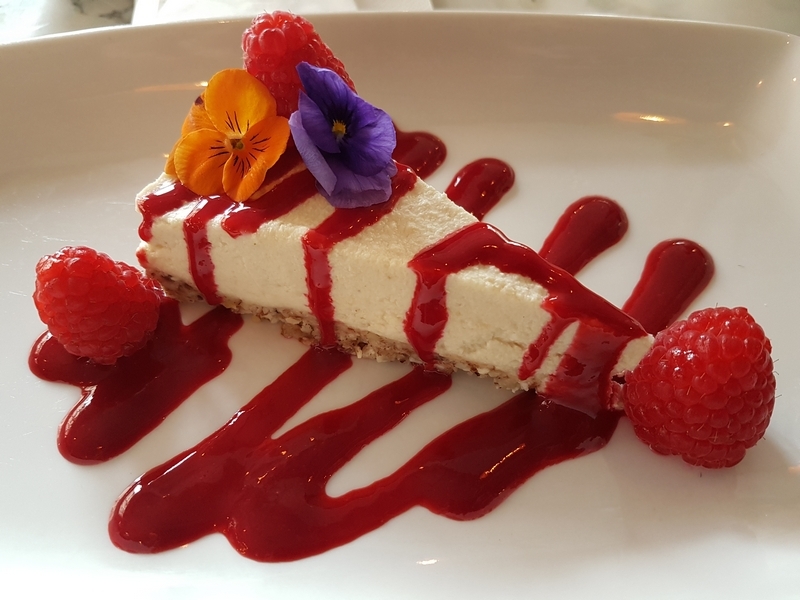 We shared a piece of lime cheesecake for dessert (£6,50), which tasted very good and was also very nicely presented. 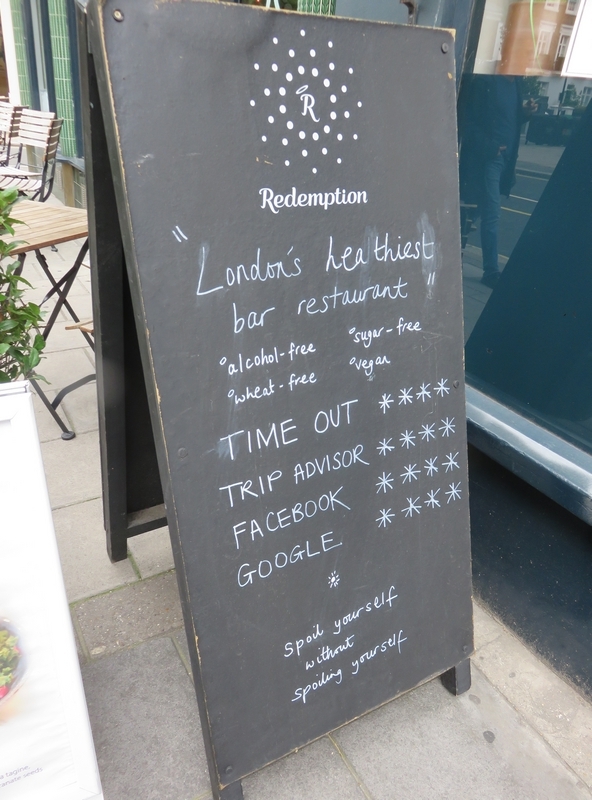 The atmosphere at Redemption was relaxed and service was very friendly. 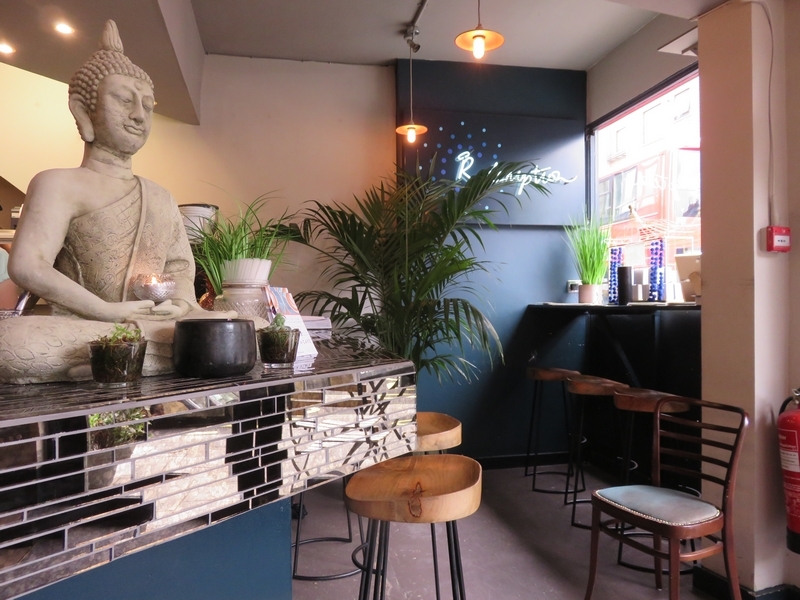 A nicely renovated interior. Toilets are also modern and were clean. All in all we had a nice light lunch. 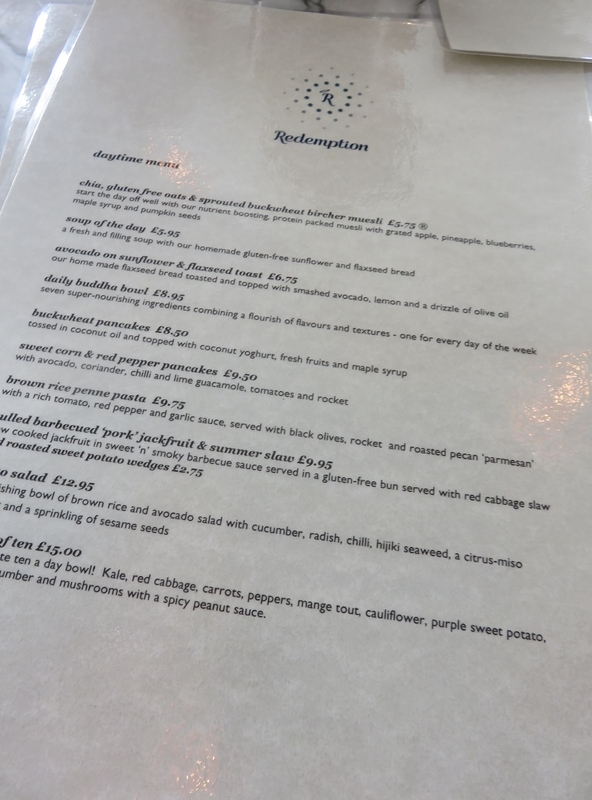 Considering other prices in London, lunch at Redemption was fairly cheap! Pity about the long wait though.